Honda’s CR family of motocross bikes stayed at the top of the tree for decades of off-road racing. It also includes the infamous Honda CR500, a bike to be revered and feared in equal measure. 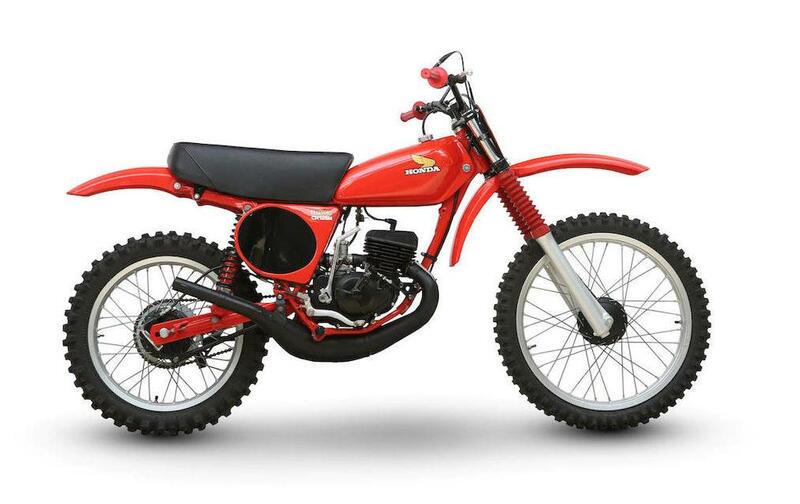 This CR125M from around 1972 is from the first crop of the world-beating Hondas. Light, agile and most importantly reliable, the 125 two-stroke was an instant success. The early bikes had none of the USD-forks and disc brakes of subsequent versions, but that didn’t stop Marty Smith winning the AMA National Motocross championship on one in 1974. The bikes carried the name ‘Elsinore’ until 1982, a tribute to the famous moto-cross track at Lake Elsinore, California. "The example offered here appears to have been well restored to substantially original condition. There are no documents with this lot."